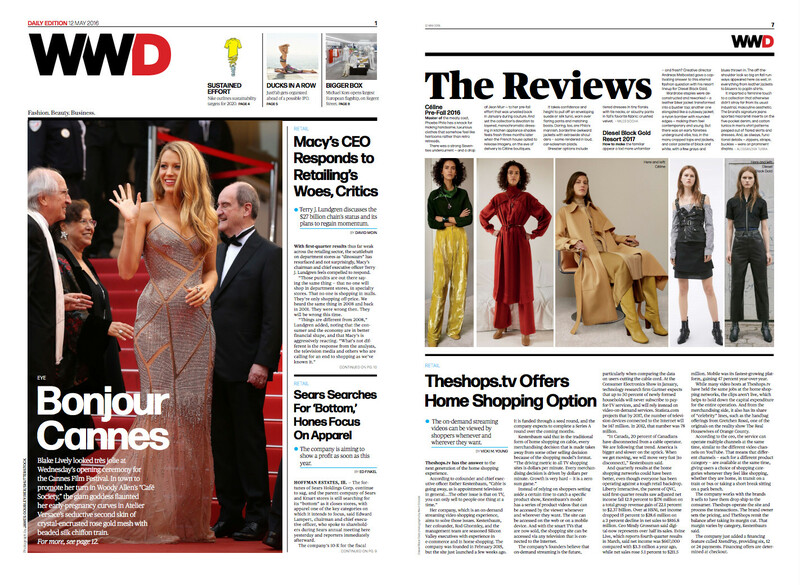 Congratulations to our Client TheShops.TV for their feature in Women’s Wear Daily. Theshops.tv combines traditional television shopping entertainment with the digital technology creating an interactive shopping destination. Theshops.tv brings an entertaining way to shop for fabulous products with real people who are passionate about the same things you are. Hosts, guests, subject matter experts and more entertain, demonstrate and advise you in a compelling video format that lets you not only see but experience all of the products – and it’s all streaming anywhere, anytime, on demand. It’s the answer to the next generation of the home shopping experience. Check them out at theshops.tv!